I can’t remember the first journal I used. It may have been in second or third grade. All I know is once I started, I have never been without one. There have been breaks in my writing, but putting pen to paper is one of the things I do. When the words pounding away in my head get to be too much, I can come here and spill them out onto the page. I’ve had cheap composition notebooks, fancy hand stitched leather beauties, Moleskines, glittery diaries with a unicorn on the cover and a key to keep my ten year old secrets locked up tight. Lately, starting my day writing instead of checking Instagram has proved centering. The method is Julia Cameron’s Morning Pages if you want to look it up, but it’s been around for a long time. I had gotten away from journaling first thing in the morning to get sucked up into the internet and see what other people were doing with their mornings. 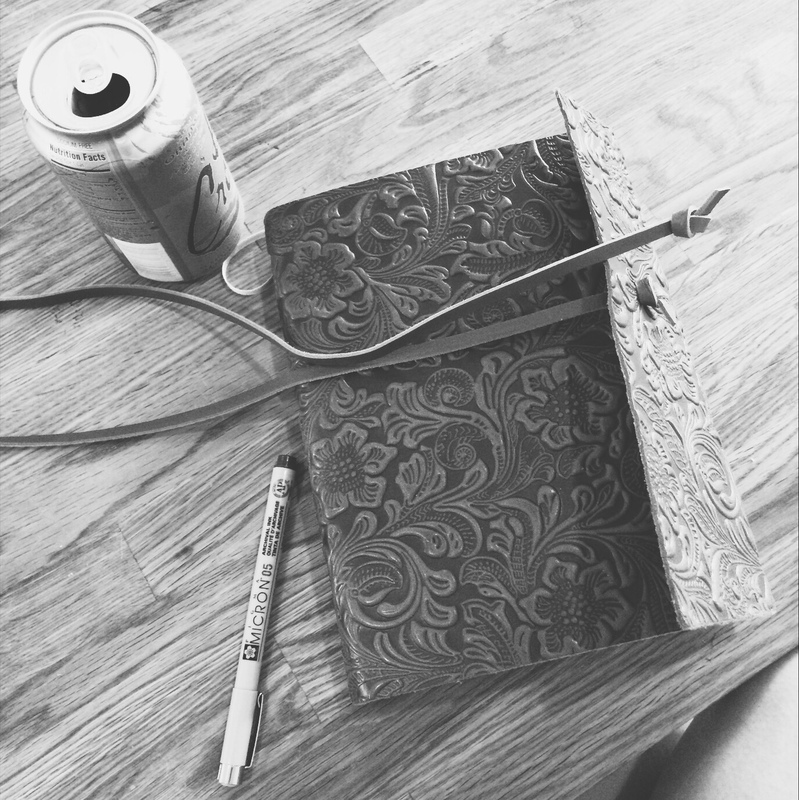 Now, I don’t think I could start my mornings without my journal, a pen, and a cup of coffee. Many times, it’s not even what I write. It’s the act of writing. The feel of the pen in my hand. The way the ink stains the smooth surface of the page. The movement of the pen across the paper. Sometimes the words are secondary.